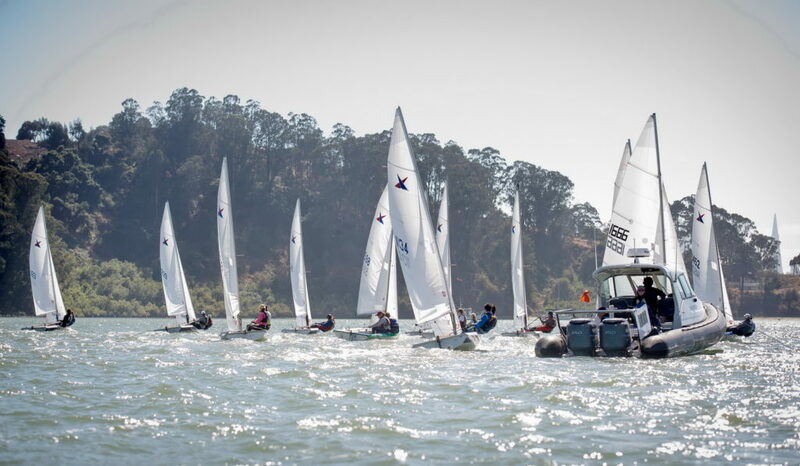 Clipper Cove and the Treasure Island Sailing Center served up a grand August 25-26 weekend of racing for 50+ Vanguard-15 sailors. 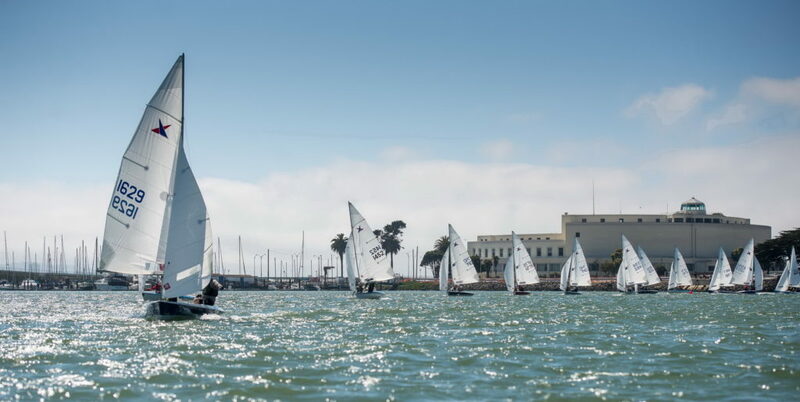 Fourteen races – thanks to our experienced PRO – in near-perfect westerly breezes just minutes from shore. Major Good Times. 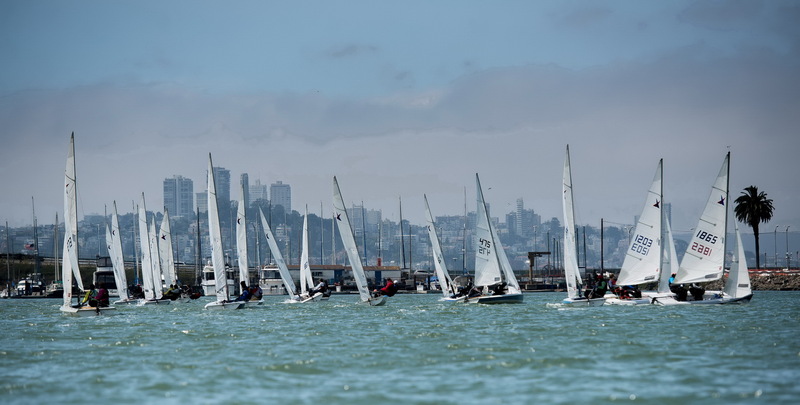 Twenty-six V15 teams from around the country traveled to Treasure Island from Tennessee, Texas, and Southern California to compete with local sailors from the Bay Area. 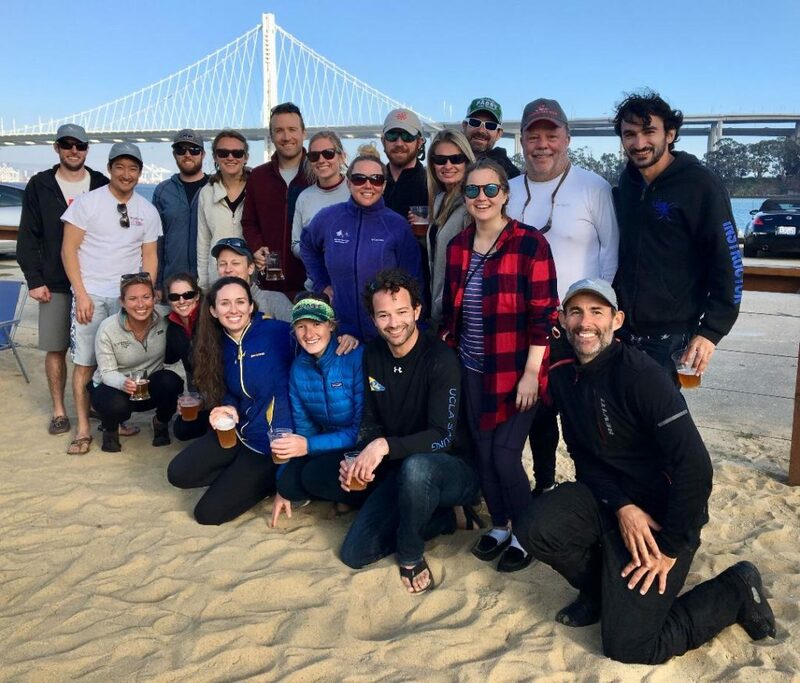 For the event, the class National Championship, all enjoyed a solid weekend of racing thanks in large part to TISC and PRO Ian McClelland, as well as a host of Vanguard 15 Fleet 53 volunteers. The racers made good use of the entire cove, from the mouth up to the north west end. While Saturday’s light morning breeze triggered a short postponement, 6 races were completed in excellent conditions. On Sunday, the breeze started strong and built throughout the day, allowing the race committee to serve up 8 more races. Up and down the fleet, the racing was close and competitive and the score lines reflect this. By the end of the weekend, however, it was clear one team in particular maintained an unmatched level of consistency. 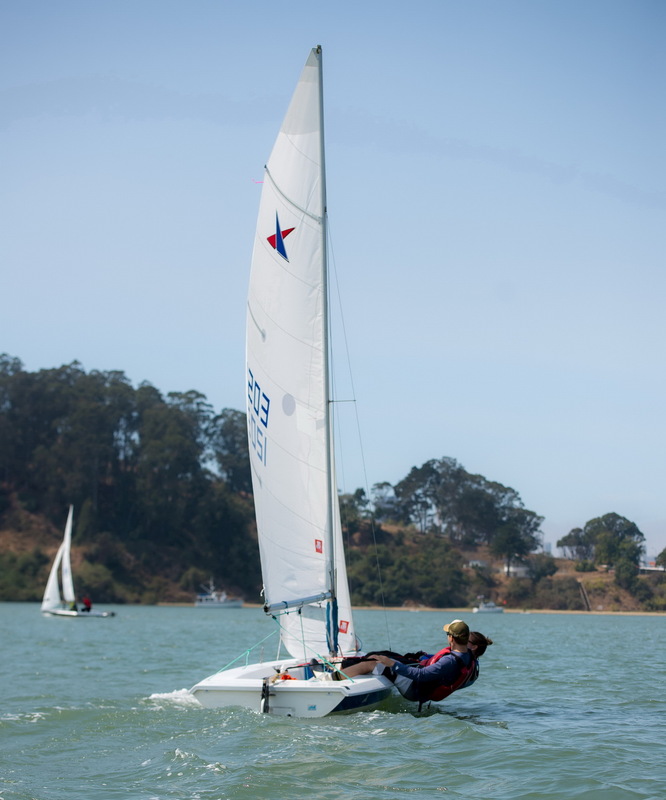 Matthew Sessions and Avery Whitmarsh (1629 in the photo below) from San Francisco Yacht Club won the 2018 Vanguard 15 National Championship. 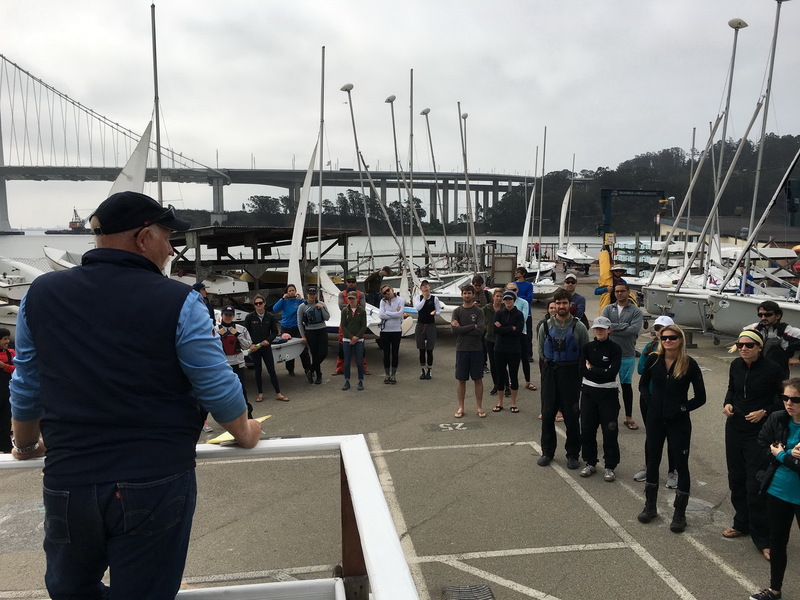 Of course no V15 regatta would be complete without an active social schedule.The Saturday dinner was held downtown at the Bay View Boat Club. Following the award ceremony Sunday afternoon the sailors gathered at the Woods Island Club adjacent to TISC on Treasure Island. A special “thanks and a tip of the hat” to Vinay Vijayakumar for the excellent Saturday photos. You can see more of his work HERE. And a shout-out to Mike Deady for writing and Sam Wheeler for editing this blog. Clipper Cove continues to provide public access to San Francisco Bay for kids, youth and adults. 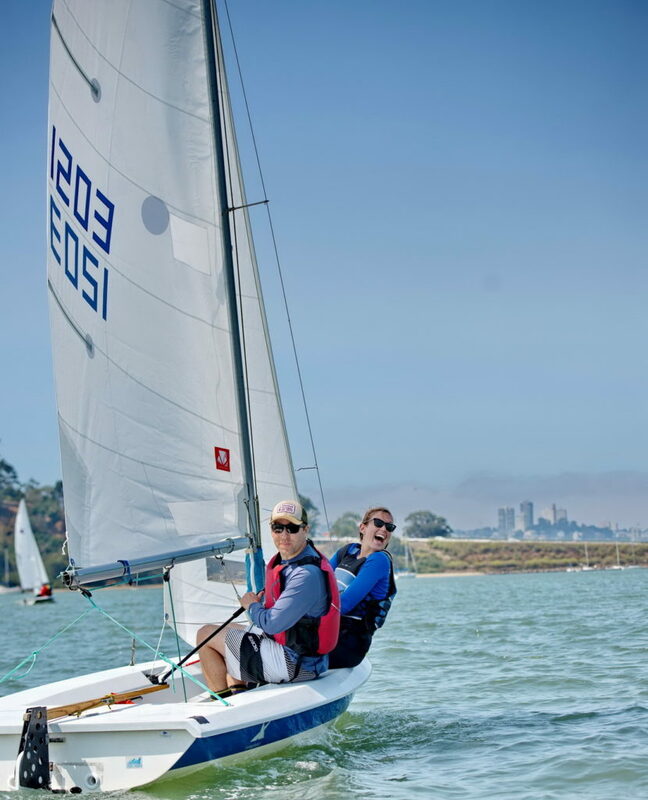 Sailing, kayaking paddle boarding; recreational sailing, lessons and racing. The Cove’s rich history – read more HERE – continues to grow as public use expands in this unique Bay Area Gem. 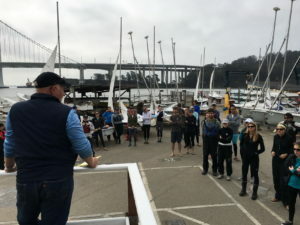 This entry was posted in Uncategorized and tagged Bay View Boat Club, Clipper Cove, Ian McClelland, non-profit, San Francisco Bay, TISC, Treasure Island Sailing Center, Vanguard 15, Vinay Vijayakumar, Woods Island Club by skippersgift. Bookmark the permalink.